As a follow up to my Black Rum Cake recipe, I wanted to do a non-alcoholic version for you. But that's not really the way my family does it. 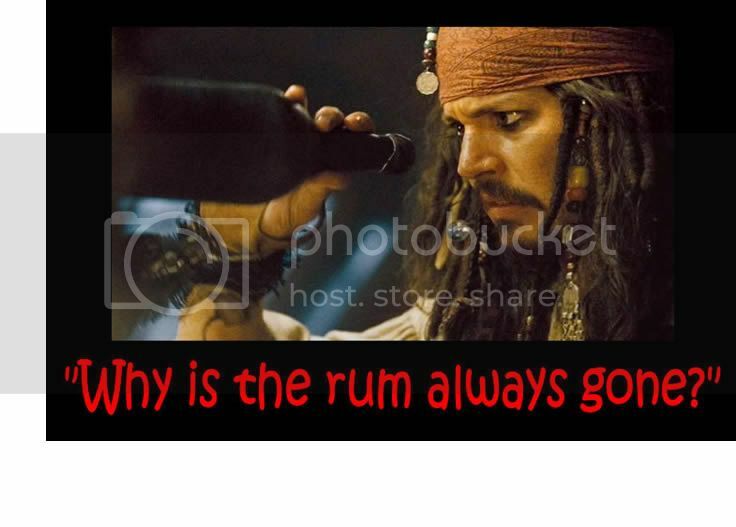 The family philosophy is usually the more rum the better! So I scoured the Internet to find you a recipe and found a wonderful on on Lifespan of a Chennette. It is a wonderful blog. You should check it out. Preheat oven to 300 degrees Fahrenheit. Grease cake tins with shortening and line with parchment or waxed paper – line bottom and sides. 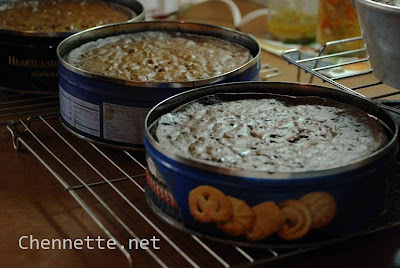 Mom likes to use the old Danish Butter Cookie tins, since they have covers for storage after baking. Mince fruits in blender or food processor until as fine as you like it (I like it almost to a paste – I don’t like discernible bits of fruit). Cream butter, shortening and sugar till fluffy. Add eggs one at a time, beat well between additions. Add browning, condensed milk and cinnamon, mix well. Add flour, about 2 ounces at a time, mix between each addition. At this point, Mom will put a tablespoon of the cake batter on a saucer into the microwave to cook. Taste this to test for sweetness and of course look at the color. Determine if you need more condensed milk or browning, or if you are in a really humid place (more than here? whew) more flour. If you think it has too much flour, addition of a little condensed milk or more browning can help balance it out. Bake in the oven for about an hour – until a toothpick inserted into the center comes out clean. So that was Chennette's recipe for Alcohol-Free Black Cake.